How to protect transformer from damages of surge current? Current variations in the power supply causes severe problems in the electrical devices i.e if it increases or decreases in both cases it causes overheating which melts the conductors. High current is said when the current is above the ratings of any electrical devices, this rises the temperature of the transformer similarly when the current is below the min. 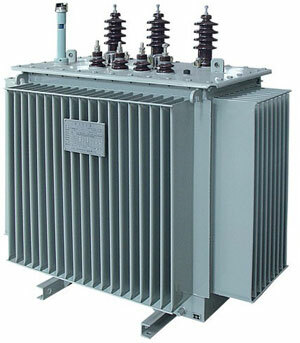 rated value of the transformer but the load remains constant because of which it draws heavy amount of current to meet the load current requirement, which damages the core. Therefore to protect the transformer fuses are used at H.V and L.V sides. Fuses do an excellent job of protecting transformers from overloads cause by slow line surges and high current overloads on the primary or secondary as long as they last long enough to melt the medium of the fuse without undue stress on the windings. The other issue which can destroy a transformer much quicker and too fast for a fuse to respond is a lightning strike to either the primary or secondary side of the device. Protection from this cannot be offered by any electro-mechanical device as they all would operate too slowly to prevent arc over between windings in either the primary or secondary. The judicious use of stationary sparkgaps across the primary and secondary stages of the transformer set a third below the maximum surge voltage for which the transformer was designed will do the trick. These can be open to the air or in the case of very dirty environments they can be hermetically sealed in a clean environment. These, even if they completely short are much more reasonable to replace than a very high capacity power transformer. Why do we usually use 2 protective devices for transformers, one at the primary and the other at the secondary side? (a) Many transformers have winding arrangements (e.g. Dy) which make it hard to achieve sufficient sensitivity for low side faults when measuring on the high side. Try calculating the high side currents on Dy transformer for a low side phase to earth fault. (b) It is operationally inconvenient to have a device trip which does not tell the operator whether the fault is inside or outside the transformer. Re-energizing a faulty transformer is dangerous, and oil tests after each trip are a pain. The primary protective device has to allow for inrush, which typically does not allow for proper overload protection (especially if it is a fuse). The secondary protection can be at the transformer or at the connected bus and can be set to protect the transformer and connected bus from overloads. Having two devices also provides a point of isolation and fault discrimination so that the transformer is not the suspected fault point. With no secondary protection you would need to test the transformer prior to re-energizing it.